…and a filter so you can get rid of OT comments. Do you see the irony of your own post? In addition to these welcome bonus changes, have they also stopped mastercard debit card payments? I made one a couple of days ago, only a few hundred pounds, which at the time showed up in the processed transactions list, but I noticed the card balance wasn’t adjusted. Then yesterday, I could see no trace of it at all on the Amex account, only in the app for the debit card where it still shows…so at the moment, I’m down by that amount. Worked for me this morning. It has been mentioned on here that sometimes a payment can bounce back if it’s close to your statement date so you just need to try again in a day or so. It won’t come out of your “debit card” account. This has happened to me twice recently. Don’t worry, in a few hours it corrects. It is weird though. you can say you are using the curve debit card to pay your Amex bill on here, no one cares right? Don’t be shy about it! it’s not like Amex doesn’t know? but do it properly, link to IHG, then back track to Virgin then pay the virgin balance with IHG sweet! Ok thanks, well in the interests of being candid, I also use Curve to shape out lines of the sherbet I bought with my Nectar card. The local dealer was signed up for Shop Small, so I got a fiver back on a load of Bertie Bassetts. Little tip for you, you can whip a grand a day out the atm with curve, it’d against curve t & c but they know about it so don’t worry. Folks, how do I get all my cancellation dates for my Amex cards? Is it by calling Amex? not a big deal with 6 months as was in no rush to get new card on 6 months +1 day, but with 24 months I think I’ll get a bit tighter! I doubt they will be happy to do this right now? in fact – and I sort of grade them in my head, which is only natural but a bit illogical if you are ascribing the virtues of 1 CS agent to the whole organisation! – Amex CS agents pretty much come second only to the delightful Laithwaites girls. How do you get in touch if you don’t have an active Amex card right now? I’m lucky I was on a 6month break so I need to continue that strategy for a while longer now! Damn, not on either of mine – that’s one that I could actually use! Typical. Had to buy a laptop 2 weeks ago. However did the spend target on Amex Plat in a day of activation for bonus points. 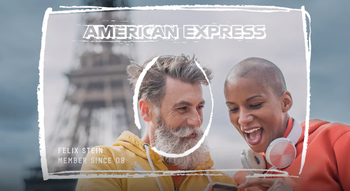 Honestly, anyone who thinks the churners who took this to the extreme didnt contribute to this Amex change is seriously deluded.
? You are always ahead of the game. Was the pushing of the business Amex cards recently a coincidence? And the march credit card updates didn’t seem to feature as prominent as in the past? All coincidence, at least from our side. I use noddle to check when i signed up to cards. Presumably if you reapplies after six months you won’t earn the sign up but you will get New ten referrals? Also do you have a link to the rules? The rules will be on American Express UK website. Sorry, no ioffense, I’m sure its just me. I have a gold membership reward card. I will get the sign up bonus if I apply for a British Airways Premium Plus credit card now, whether I retain the gold card or not. Applied and accepted for an Amex Gold Rewards Card last week. On logging on I can’t see anything for showing progress towards the £2000 spending bonus of 20000 points a la BA Amex Premium card for their bonus/2-4-1 voucher ???? Usually appears after a day or two, assuming you were ahead of the T&C’s changing. Hi Rob I applied for an Amex SPG credit card on 13/3/19 .I already have the preferred gold card.I activated it on 20/3/19,but have noticed there is no mention on my account of the sign up bonus. Was my application too late with regard to the rule changes around bonuses? As you applied before the rules changed you would be eligible for the bonus.I’ve never held the SPG card so don’t know when the bonus progress bar shows but the reply to @Baz above most likely applies to you too. So re below. Despite Amex telling me that I WOULD still be entitled to the sign up bonus because my card was approved before the new rules, there is still no countdown ( banner/window – sorry not sure of the term) telling me that I need to spend £X before target is reached. There’s often no count down banner for the sign up bonus, nothing per se to worry above. thanks. Ive ALWAYS had one before on every card Ive had so bit concerned, Ill keep checking! I think I saw previous recommendations to look on the app rather than the website? Hi . I have within the last 3 weeks got the starwoods Amex. I already have the Ba Premier and the platinum card. I have about £700 of the £1000 I needed to trigger the bonus. Will Amex honour this in the next week or so as I had the card before the announcement or will I lose out ? Bingo! We have another one! Tbh a simple edit from Rob which said if you applied for a card pre 9pm on 20th March you should be ok might have stopped about 200 comments. Tbh these 200 comments have been an eye opener as to how financially naive some of the HfP readership are if they seriously think AMEX can retrospectively change T&C’s at will. More to the point, it tells you how lazy people are at reading things and paying attention. Plus many want others to do the work for them.